To aid doctors, a computed tomography, or CT, scan provides an inside look at the body’s organs, tissues, and bones. CT scans are used for a wide range of purposes, including disease diagnosis and internal injury identification. 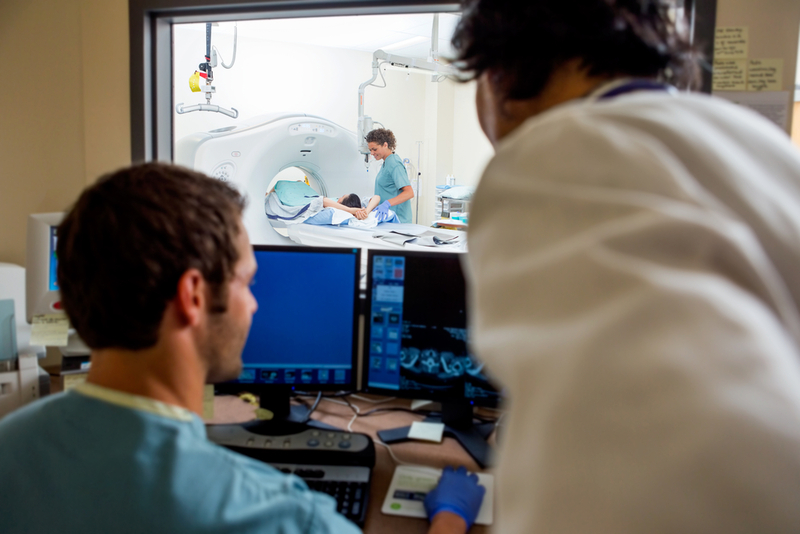 The following are five reasons a physician might recommend this detailed imaging procedure. Internal injuries, like those suffered as a result of car accident, are quite serious but sometimes show no external signs. Fortunately, with the help of a CT scan, concussions and bleeding become easier to locate. Without it, your medical team would have to turn to more invasive procedures to assess the extent of the damage. Imaging centers are able to take a closer look at the bone density of patients with skeletal diseases, like osteoporosis, with a CT scan. The results provide an inside look at the condition of your bones, soft tissues, and organs to help physicians make the right prognosis and recommend the best treatment. The best way for surgeons locate, measure, and monitor the size of a tumor is with a CT scan. The results allow them to understand the extent of the issue, take biopsies, and even plan for surgery. For patients undergoing cancer treatments, a CT scan allows doctors to observe the progression and regression of a tumor, even in soft tissue. This tool also helps them monitor an individual’s response to chemotherapy and determine how much medicine to administer to achieve results. If you’re claustrophobic or are unable to sit comfortably for 30 to 60 minutes due to a medical condition, your doctor may recommend a CT scan over an MRI. They also suggest this for people with an implanted medical device, as these cannot safely go into an MRI machine. If you need a CT scan, look to the professional team at Kenai Peninsula Imaging Center in Kenai and Soldotna, Alaska. They offer flexible payment plans and provide a comfortable environment for all patients seeking imaging services like MRIs, CT scans, and X-rays. To schedule an appointment, call them at (907) 335-4674. Visit them online to learn more.